Tim Moore is a nationally recognized professional angler, fishing guide, outdoor writer, and promoter. He has fished the coastal and inland waters of New Hampshire for more than thirty years. Tim is an industry leader whose success has garnered him a highly sought after place on the Ice Team as well as pro staff positions with companies such as Clam Outdoors, Vexilar Inc., and of course, Daddy Mac Lures. 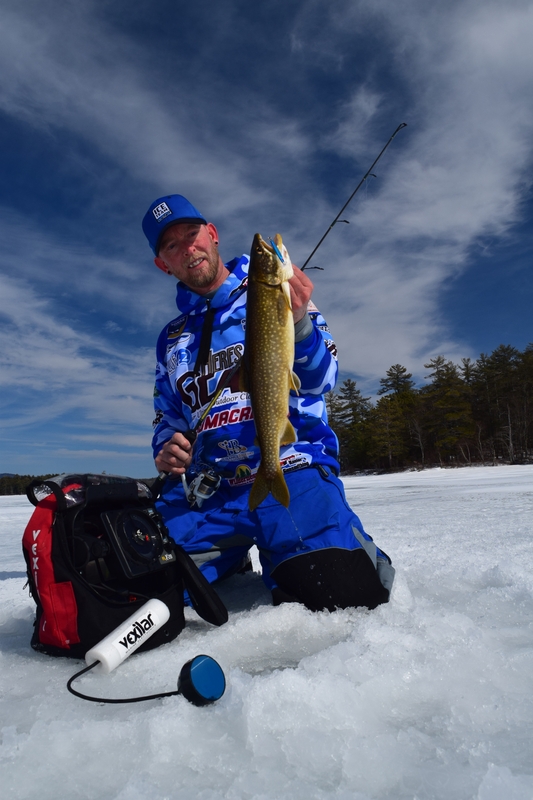 He currently owns and operates Tim Moore Outdoors, LLC out of Portsmouth, NH offering guided ice fishing trips on Lake Winnipesaukee, kayak fishing trips for striped bass, winter flounder, black sea bass, northern pike, panfish, walleye, and more. He also offers freshwater boat charters for trophy northern pike and walleye on the Connecticut River as well as white perch, lake trout, and bass in many of New Hampshire’s water bodies. Tim is also the producer of the fishing show, Tim Moore Outdoors TV which is seeing a rapidly growing viewership. He spends over 250 days a year on the water either fishing, guiding, filming, or product testing. Tim has gained the respect of industry professionals from across the United States and Canada. His passion and determination to excel have made him one of the most highly sought after fishing guides in New Hampshire. “Pro staff members are often criticized and accused of staffing for companies just to get free or discounted product. While that may be true for some, my success as a fishing guide depends on products that work and that’s why I use Daddy Mac Lures. I pro staff for them because they are good people and the relationship is mutually beneficial,” says Moore.